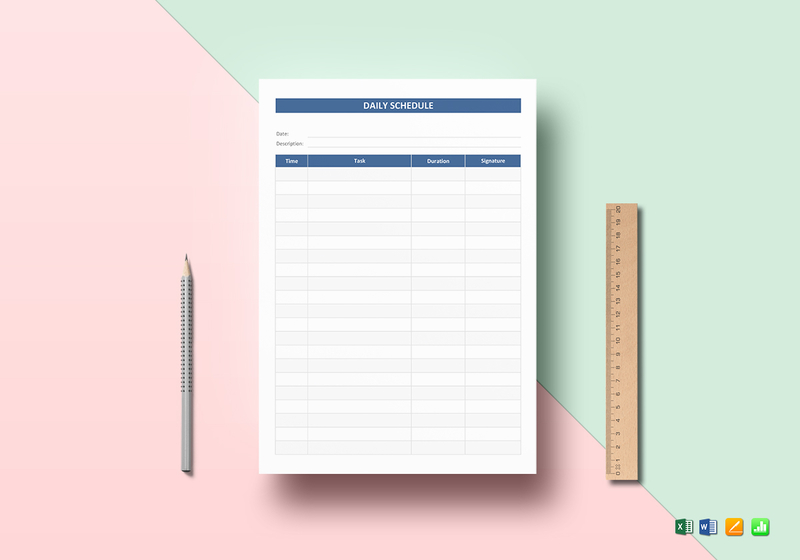 Avoid the hassle of making your own daily schedule from scratch and download our professionally made template. Instant download anytime, anywhere. 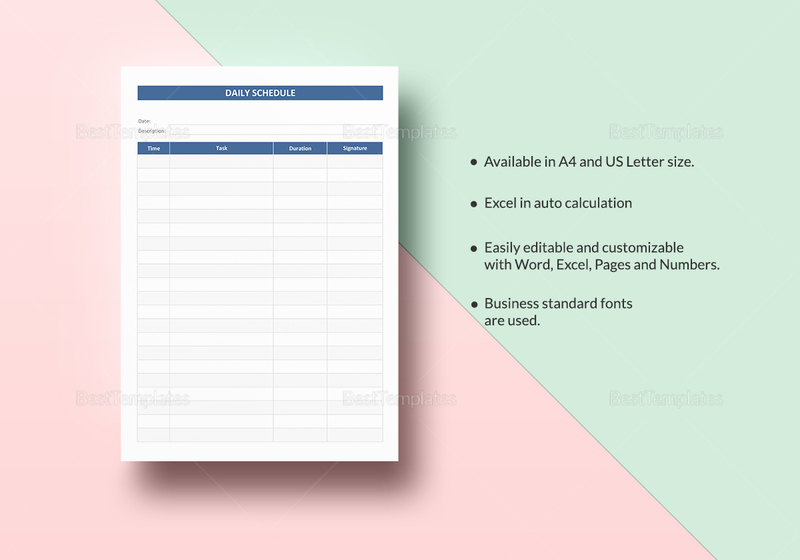 This document is available in A4 and US Letter sizes. 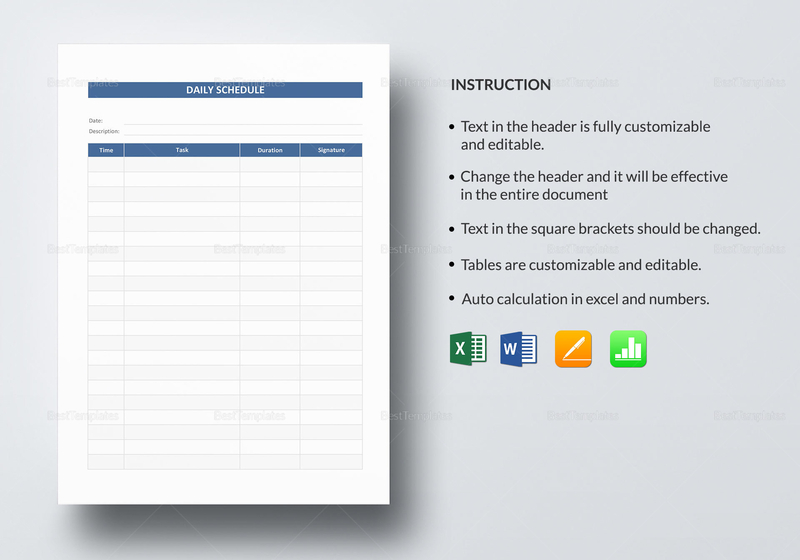 All elements in the document are fully customizable with all versions of MS Excel, MS Word, Apple Pages and Numbers.